If you are looking for absolutely unique locations for destination weddings in Italy, the countries beautiful UNESCO World Heritage Sites offer a number of ideal options. Whether you want your perfect day to take place in the mountains or near the seaside, Italy’s extraordinary landscapes with numerous UNESCO World Heritage Sites will provide a flawless backdrop for your wedding. 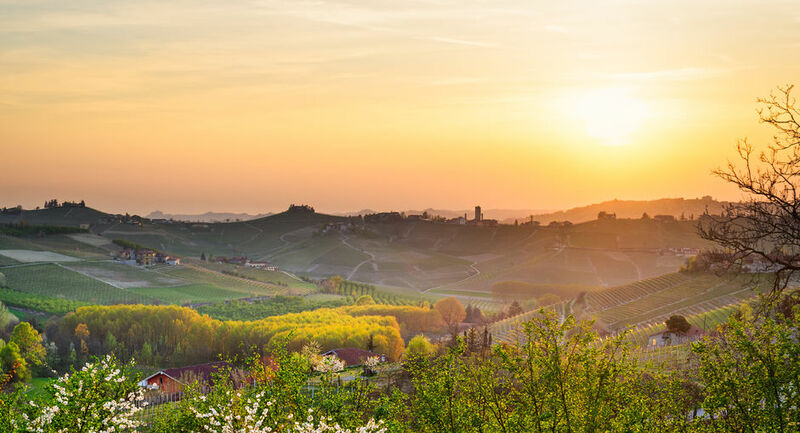 Situated at the foot of the Alps, Piedmont’s Langhe-Roero and Monferrato vine-making regions offer an exceptional insight into how man interacted with his environment in the past, and how this relationship has evolved across the centuries to become what it is today. Properties in these vineyards reflect the traditions and culture of the area, and have been awarded the title of Unesco World Heritage Sites for the aesthetic harmony they create with their surroundings. Choosing one of these properties for your wedding will ensure your special day is bathed in history, ensuring a solid start to the life you and you partner will build together. On the Mediterranean Sea Portovenere, the Cinque Terre and the Island of Palmaria offer an entirely different, but just as special, taste of Italy. The exquisite villages you will find along the coast with their many colourful homes and stone castles allow visitors to gain an exclusive insight into the historical significance of this region, which has been home to many different communities across the centuries. Thanks to the many gorgeous properties available in these regions, from vivid townhouses to whitewashed villas, you are guaranteed to find the wedding location of your dreams in Cinque Terra. Getting married in these unique surroundings is sure to impress your guests as well as provide a beautiful setting for your wedding pictures, whilst the Islands are ideally situated for a romantic escapte just for the two of you, making your day even more special. Finally, the Val d’Orcia in Tuscany, is another distinctive location in which to hold a wedding like no others. Little hillocks dispersed throughout the flat countryside are perfect for sight-seeing, allowing you to see into the distance across the region’s unmistakeable fields and villages, which together create a beautiful landscape. Choose a romantic castle or a beautiful rustic winery as the perfect venue for your wedding in Val d’ Orcia.